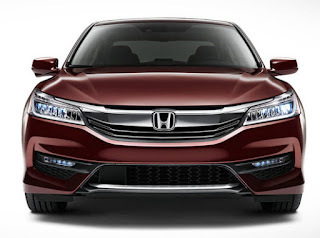 The 2016 Honda Accord Sedan 4 Door I4 CVT EX is a car worth your attention. If you are looking for a fun to drive car for your travels and daily running in Olympia, then direct your new car search to us at Olympia Auto Mall. We stock both new and used models of the Honda Accord Sedan and welcome you to come and discover our range. Fuel economy is estimated at 23 MPG for city use and 34 MPG for highway use. Electric power steering and tilt telescopic steering wheel. Once you test drive the 2016 Honda Accord Sedan, you’ll simply never want another car again. Finding cars for sale in Olympia is made a simple and rewarding task at Olympia Auto Mall. Browse through our range and book a test drive today! No new car search is truly complete without a visit to Olympia Auto Mall. We have an extensive vehicle inventory for you to consider and our car sales consultants will ensure that you are provided with a demonstration and presentation of each vehicle that interests you. We can also assist you with setting vehicle finance in place. Feel free to contact us via email or telephone, pay us a visit or carry out an online new car search on our website, in order to browse through our vehicle inventory today.